Completed B.Sc. 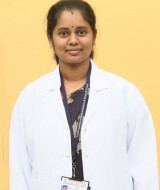 (N) at RVS college of nursing, Coimbatore. Tamilnadu. Completed M.Sc. at vydehi college of Nursing. Working as a Lecturer. Participated and conducted various workshops, seminar, CNE.